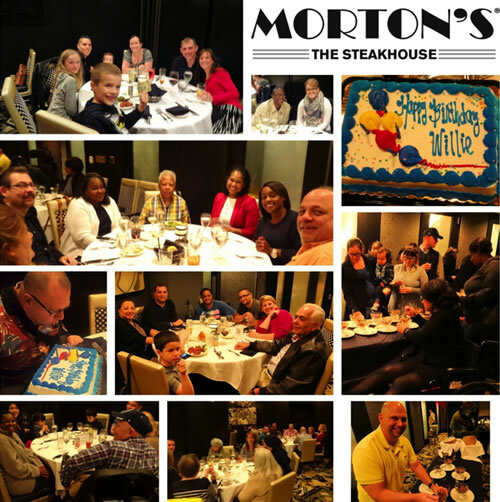 Aleethia’s May 6, 2016 … “Friday Night Dinner” was held at Morton’s Steakhouse Downtown and hosted by Service Members Support Foundation’s founder, Ed Meagher who has been a volunteer at the Friday Night Dinners since 2003. Over 114 wounded/injured/ill service members, their families, caregivers and guests enjoyed a delicious dinner, great fellowship and new friendships were formed. Aleethia extends a special thank you to the wonderful staff, chefs and others who made this a memorable and fun evening for all. Thank you Ed!